Louise Brooks and Victor McLaglen in a publicity still for A Girl in Every Port (1928). Of the many girls, Louise had the biggest part and made the strongest impression. Victor McLaglen and Louise Brooks in a publicity still for A Girl in Every Port (1928), Howard Hawks’ most widely seen silent film, although none have ever been released on home video or been shown on cable tv. Louise Brooks and Robert Armstrong in A Girl in Every Port (1928). The surviving publicity stills are in better condition than the actual movie. Posted in girl in every port, a, misc. Louise Brooks as trapeze artist Marie in A Girl in Every Port (1928). Louise was born in Cherryvale, Kansas and had 28 acting credits in her career, from an uncredited bit in 1925 to an episode of the low budget series The Three Mesquitters with John Wayne in 1938, a year before his big breakthrough in Stagecoach. Louise Brooks in costume as a trapeze artist attracting the attention of Victor McLaglen in A Girl in Every Port (1928). Louise Brooks and Robert Armstrong in an old fashioned night shirt in a scene from A Girl in Every Port (1928). Louise Brooks and Robert Armstrong in A Girl in Every Port (1928). Victor McLaglen as Spike Madden and Louise Brooks as Marie, the girl from Marseilles, in A Girl in Every Port (1928). Posted in gentlemen prefer blondes, misc. 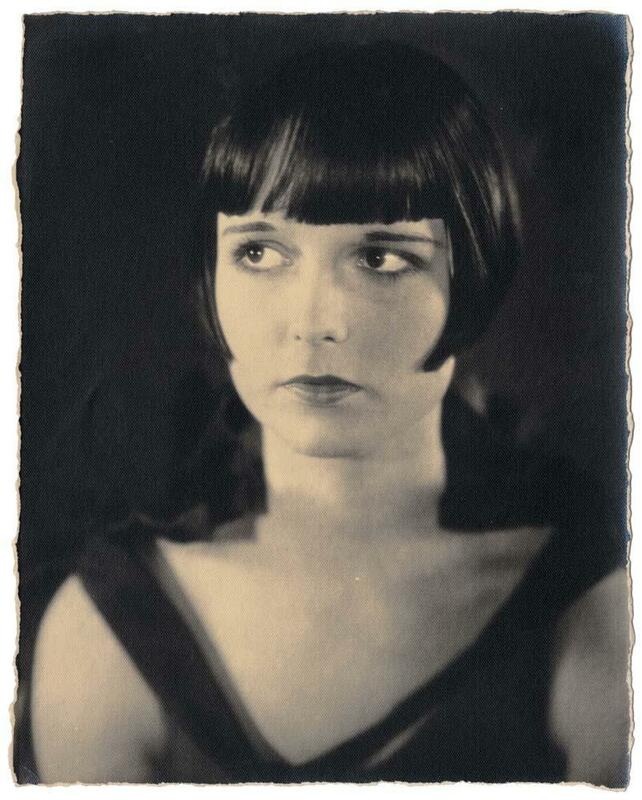 Louise Brooks got her big break as one of many in A Girl in Every Port (1928). It lead to her starring roles in Pandora’s Box and Diary of a Lost Girl, both in 1929, but not much of a career in sound films. Louise Brooks and Robert Armstrong in A Girl in Every Port (1928). Robert is best known as the film director on a mission to capture the original King Kong (1933). His part was played by Jack Black in Peter Jackson’s 21st century remake. Robert Armstrong and Louise Brooks in A Girl in Every Port (1928), the fifth of eight silent films Howard Hawks made, all at 20th Century Fox. Louise Brooks as circus acrobat in A Girl in Every Port (1928). Louise was born in Cherryvale, Kansas and had 24 acting credits from an uncredited bit in 1925 to 1938. A Girl in Every Port was her 12th film and first to gain her any recognition.